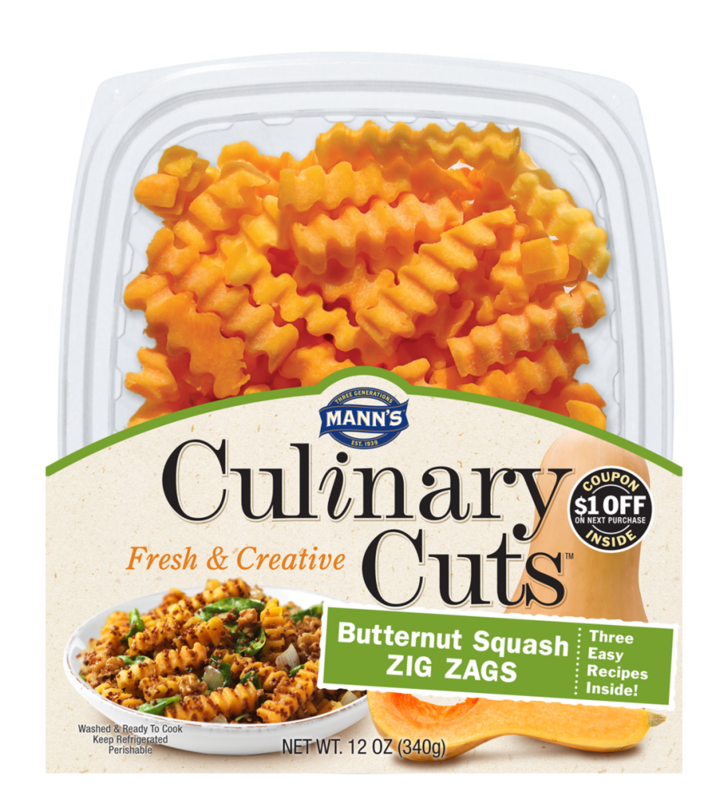 * I used Mann's new "Culinary Cuts" Butternut Squash Zig Zags, which I was introduced to at a bloggers' event on Tuesday. These are pre-cut pieces of fresh squash with no preservatives. Handy! Sauté the onion & garlic in the olive oil over medium heat, just until it begins to soften. Add the squash, season with salt & pepper, then cook until just tender. Remove from the pan. Add the butter to the pan and toast the farro until browned and fragrant. Add the wine & cook until the wine is almost evaporated, about 2 minutes, stirring frequently. Add 1/2 cup of the warm stock & stir until the liquid is almost absorbed. Continue cooking, adding 1/2 cup of warm stock at a time, stirring to prevent scorching and letting each addition be absorbed before adding the next, until you've used all the stock. 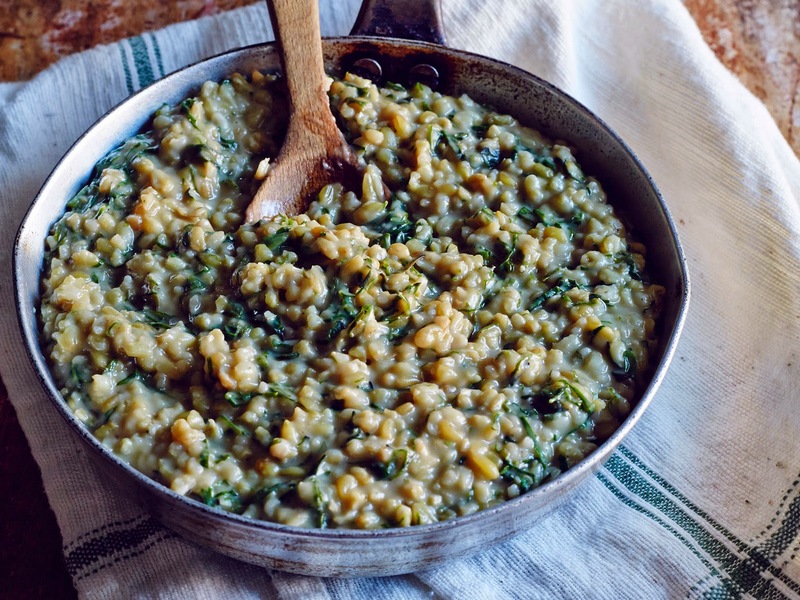 The farro will look creamy like risotto. Season the farro with the herbs, salt, and pepper. Add the squash & kale, and stir until the kale is wilted. Stir in the sour cream & cheese. Check for seasoning before serving. Oh man...delish. I adore farro but don't think to make it - thanks for reminding me I know I have some way back in the corners of my cupboard.